Available in 30″ and 36″ hoop size. Both have a heavy-duty 48″ deep net that will hold any fish. Hoops have three indentations to tie your ropes to. 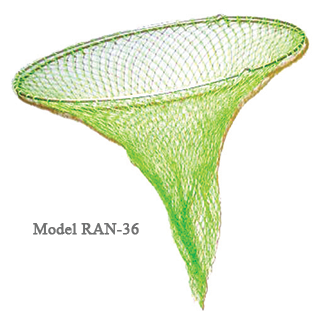 Available in green or black netting.